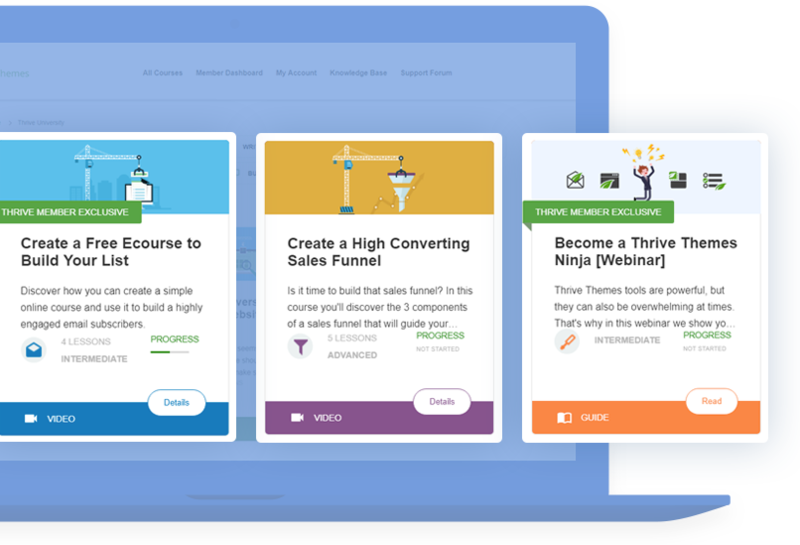 Mautic is an open source email marketing and marketing automation tool and in the latest version of Thrive Leads, you can now integrate your opt-in forms with it, seamlessly. The video shows the integration using the OAuth 1 choice. For more details on why we recommend this and how to set up the OAuth 2 type, see this article. Mautic is one of dozens of services we integrate with directly. Click here to see an overview of all our integrations. Thanks for your comment, Michael. Good to know that this comes at the right time for you. Done! Many thanks for this API Connection. I agree. Thanks a ton for making this available. There is a need to integrate with AgileCRM…. please! Thank you for your suggestion, Thomas. What would an intergration with DAP look like? I ask because as far as I know, everything we build would already work together with DAP. Hi Shane – I guess I was thinking along the lines of making courses in Apprentice and the protecting of content. Hello Shane. I was thinking also to be able to define API with DAP as a provider (as we do with other products) it will help to define the stuff in the Active Connections and don’t need to do it again. Shane, do you actually use Mautic, or was that a dumy account just for the purpose of creating the integration? If you use it, can you comment on the comparison between that and Active Campaign or InfusionSoft, in terms of creating effectiveness of automations and the GUI/ease of use? Obviously, the price is right. But will it cost more in frustration? We use ActiveCampaign for our own business. For Mautic, we have an account that we use for testing and development, but I can’t tell you anything about what it might be like to work with. I tried to connect everything as you showed and I have an error. I think the problem is with API URL. Where to get it? Anyway, thanks for your awesome job! Glad to be of service, Quentin! I am using a proprietary (linux based) platform for my website that us currently under construction. Mautic is integrated so that I can use it when logged into my website admin panel. I am wondering if Thrive Leads can be integrated here, since it is not WP? Unfortunately, all of our plugins are made for the WordPress platform only. Shane – Thank you so much for integrating with Mautic ! Great add for the Thrive products! is there any way to add more fields to the form rather than the name, email and phone number?Thanks! Does OAuth 1 still work? I keep on getting an error message. If you have any technical difficulties, you can ask our support forum to help you out! Hello! I integrate Mautic with thrive without problem, but when i try to select the option “Choose your mailing list:” is empty…why? help!! In order to get tech support, please open a ticket in the support forum so that our tech team can help you out. Hello, I want to ask if your plugin integration with mautic is able to make a connection based on a selected Mautic Form instead of the Segment Lists? So that I can use an already created form with mautic with custom fields and specific form actions set up in Mautic dashboard because that form is already part of a campaign automated workflow. Thanks! Related to my last comment, if the mautic form has already set up a redirect to URL action when it is submitted, then I have to ignore the same set up in the lead generation from thrive architect or I have to set up the same again within it? My confusion is because it seems there is a duplication of settings from Mautic Forms and thrive plugin, I appreciate your help to make sure when I buy it that I can use it correctly and works well. My mailing lists are not showing up once I have clicked on Mautic api to connect it. Please report this issue in the support forum, so our guys can help you out. Please consider adding Market Hero integration into Thrive. They are one of the most fleshed out, feature-filled autoresponders out there. Great article. The Information you shared is quite appreciable.It helped me a lot. Will love to follow you from now.